This work was completed as a freelance graphic designer and production artist at Josie Maran in Los Angeles, CA. 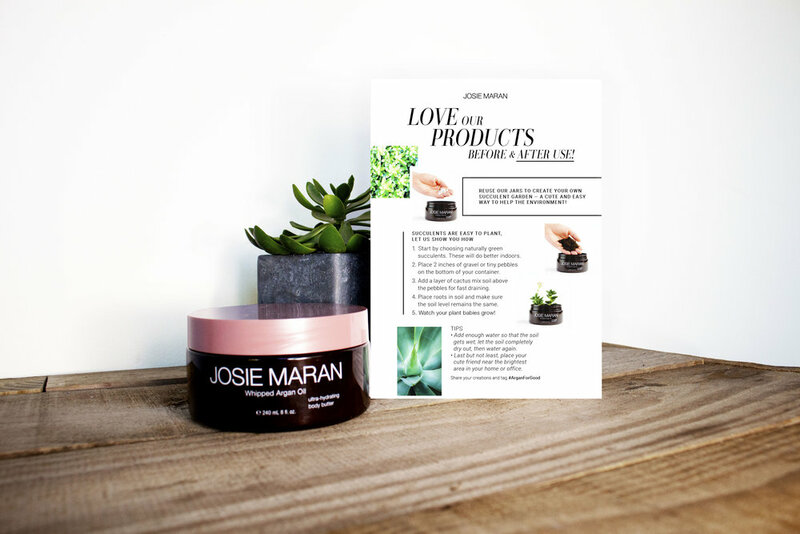 Working with the creative team at Josie Maran allowed me to strengthen my production skills, learn and grow surrounded by talented designers, and voice my creative opinion all within a warm, open environment. My values align with their mission to uplift the cosmetic and skin care market with sustainable, natural ingredients, empower women all around the world, and protect the planet with conscience consumption. Below are some print pieces I created for Josie Maran. I also worked with another designer to overhaul their Sephora merchandising units. The two cards above are used to educate members of Sephora's sales team on new products from Josie Maran. Following the individual product's launch campaign toolkit I designed these pieces with direction from the creative and marketing teams. 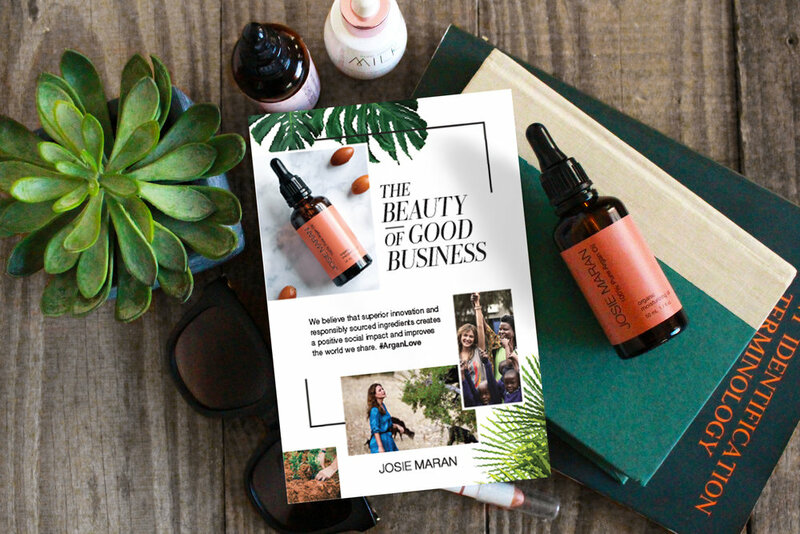 The above print pieces are part of Josie Maran's April Earth month campaign The Beauty of Good Business. I did the production work for a handout card for the 2018 United State of Women Summit. Also, utilizing the campaign's toolkit, I designed a shipping insert for e-commerce to motive consumers to reuse their Josie Maran containers.